We're not trying to emulate anyone or anything. We simply want to make the finest spirits possible that truly reflect the flavours of the woods, orchards, fields and hedgerows that surround our distillery. Some are available now, but some will sit in oak barrels for years to come until they are perfectly matured. Sign up here to be the first to know when. Our Premium London Dry Gin includes eight botanicals that can be found within a mile of the distillery. 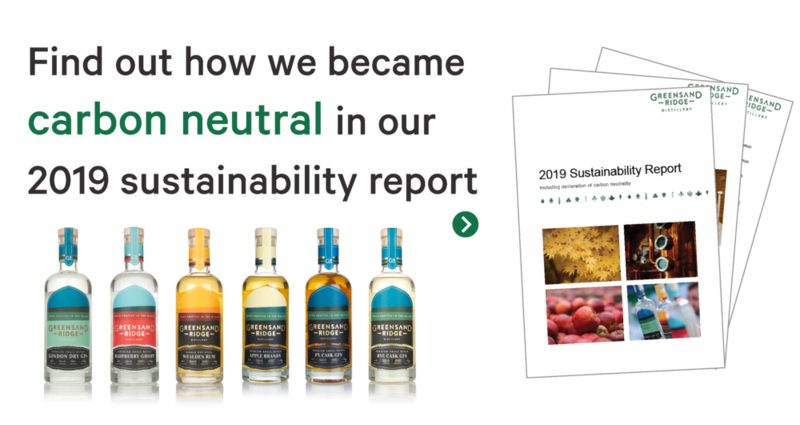 We conceived Greensand Ridge Distillery by asking the question, how to you take an energy intensive process as distilling is, and not only reduce its environmental footprint, but have it make a positive contribution to sustainability? So yes, we use advanced technology and 100% renewable energy, but we also work with our region's farmers to reduce food waste at the farm gate by fermenting and distilling quality produce that supermarkets won't take.